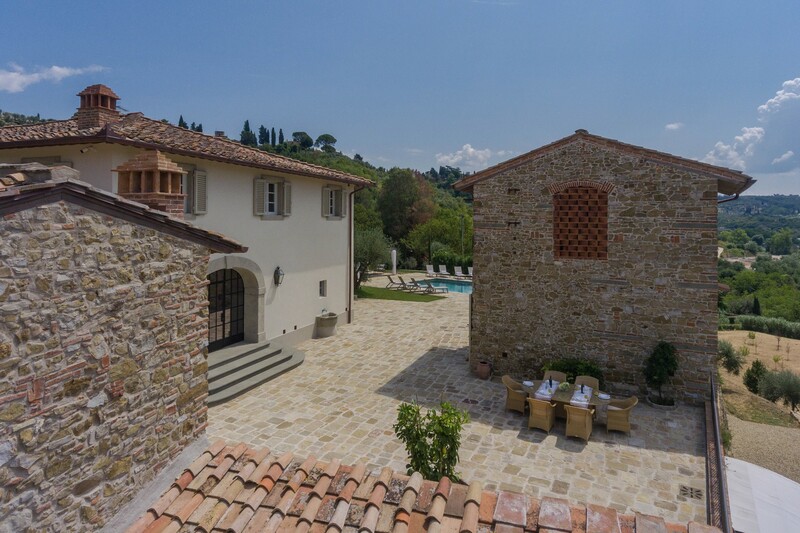 Welcome to Villa Ione, a 5-bedroom villa perched along the gently sloping hillside in Florence, Italy. 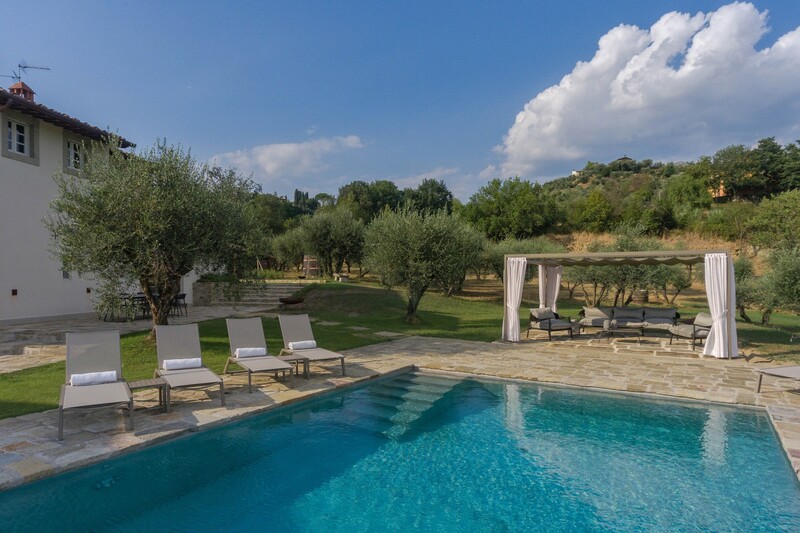 This luxury property consists of the main villa and two guesthouses. Ideally located a short 3 miles from this iconic city, you are never far from the art-lovers, wine enthusiasts and foodies, antique buyers, history experts, architecture connoisseurs, and shopaholics, and everybody in-between. 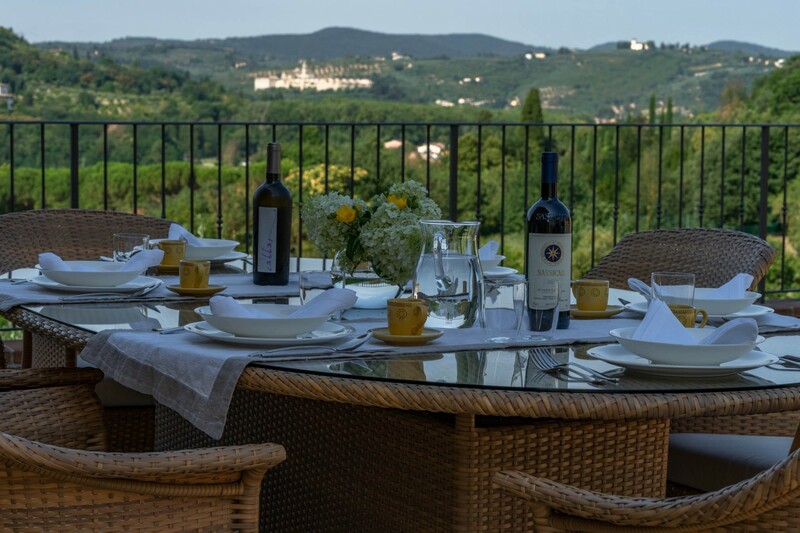 The villa enjoys views across the mountains and the secluded privacy the property provides. 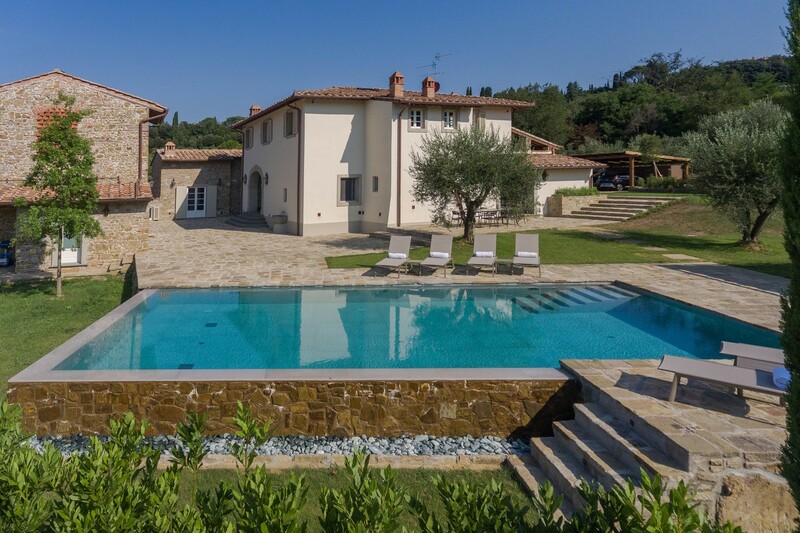 Villa Ione can accommodate up to ten guests over its indulgent interiors and expansive exterior living space. 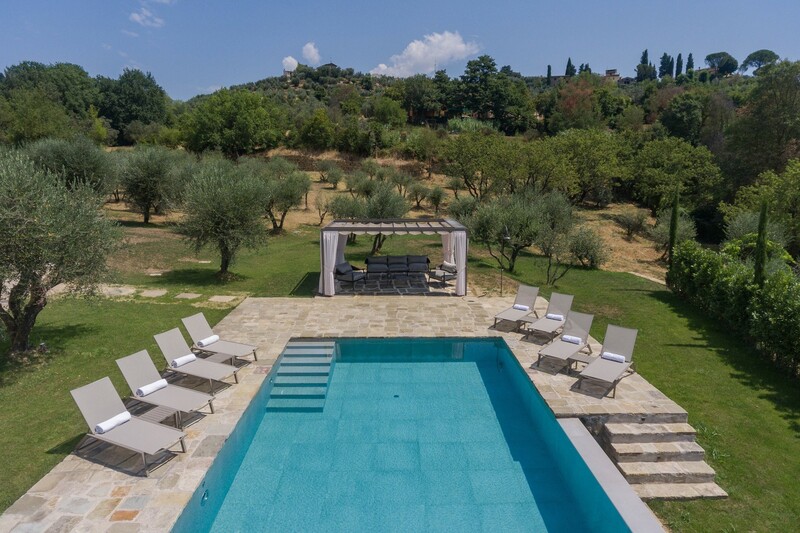 Experience the Italian way of life here in the tranquillity of your own private villa, Villa Ione. 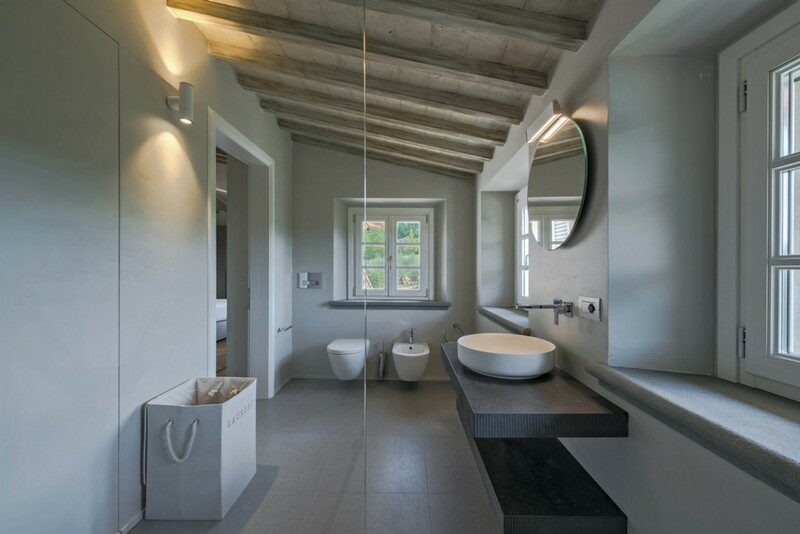 The Villa is embedded in timeless olive trees and serene vineyard rows. The location exudes privacy and tranquillity and offers you an elegant country lifestyle. 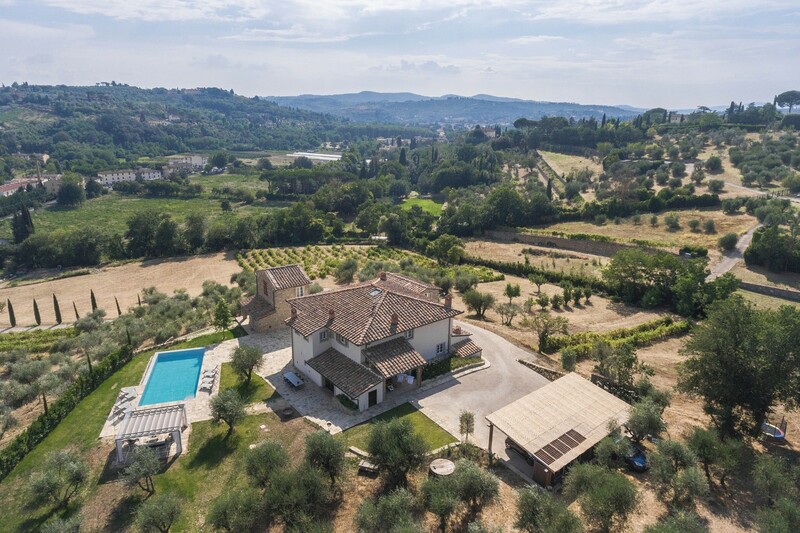 The property is set in a peaceful location as it overlooks the rolling hills surrounding the city of Florence. Walk out onto the large open terrace and enjoys the sunrise as you sip on a hot cup of coffee. Watch as the pale sun stretches over the maintained lawn. You could even indulge in an alfresco breakfast as you dine on the terrace. You can slip into the refreshing waters of the pool to cool down from the midday sun. Enjoy the refreshing waters and perch yourself along the edge as you soak in the views of the vineyards and lush vegetation. 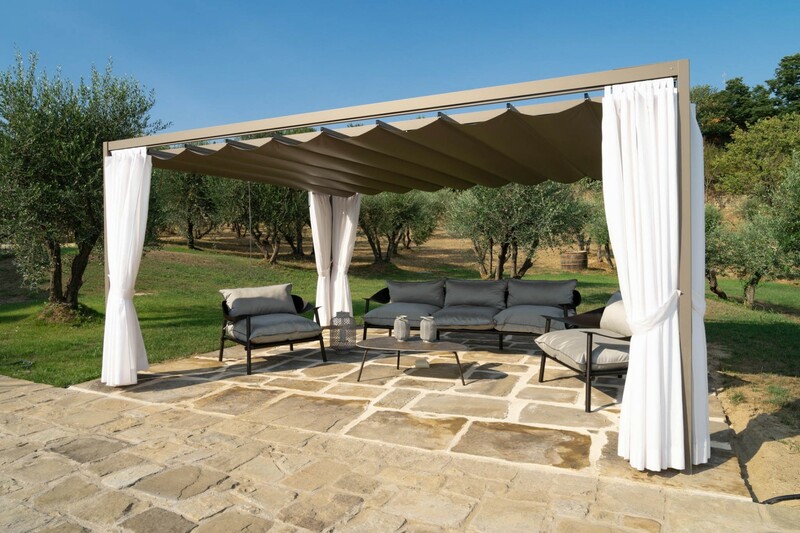 Relax on the sun loungers to dry off or indulge in the lavish pergola that shelters a casual lounging area overlooking the pool. 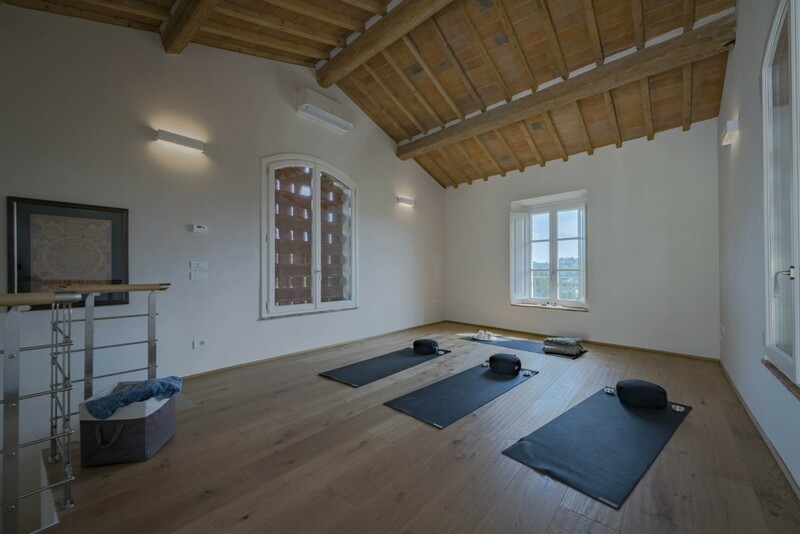 In the evenings you can unwind before dinner with some yoga or simply watch the sunset in the distance. Dine with the stars sparkling above you and pop open a bottle of Italian wine. 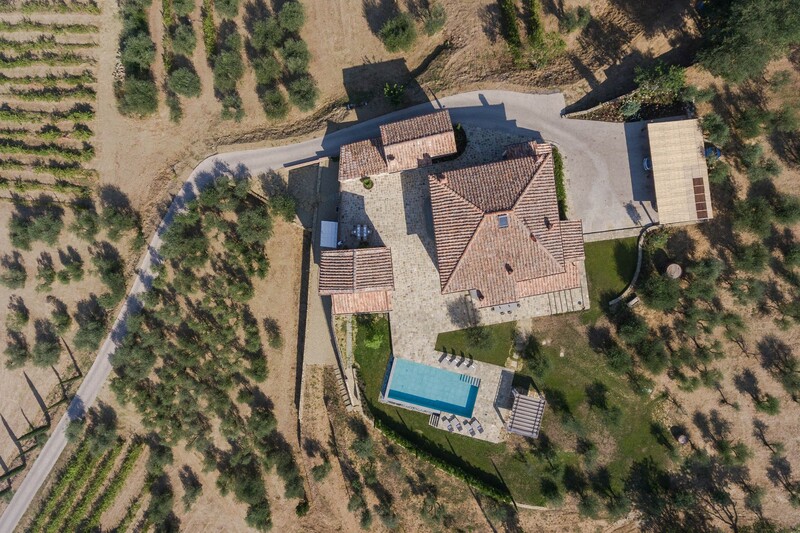 The estate is protected by hundreds of olive trees and vineyards that ensure total privacy for you and your loved ones. 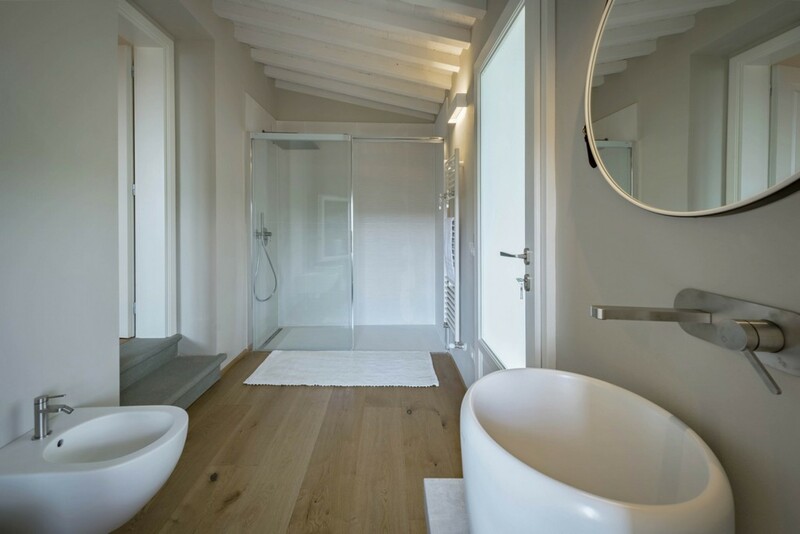 Making your way into the interiors of the Villa, you will first notice the open design layout of the property. 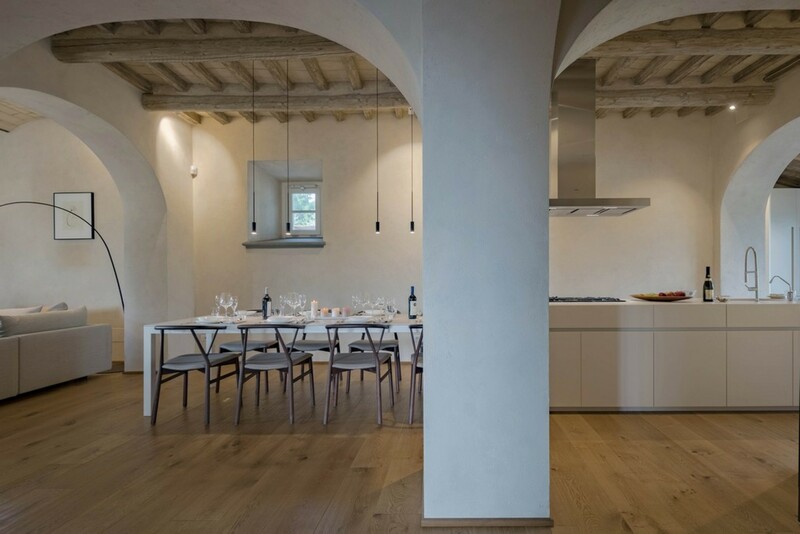 It embraces a modern and minimalist design with a traditional Tuscan construction. The high vaulted ceilings and large windows expand the space making it airy, with monochromatic grey and white palette walls bouncing light around the room. 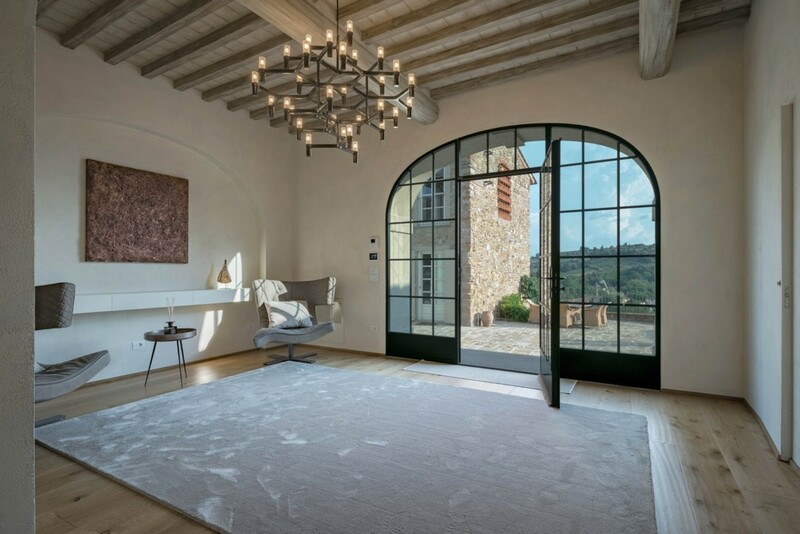 The main living areas such as the living, dining room and kitchen area, all blend harmoniously into one living space all based on the ground floor of the main villa. The room opens out onto the terrace and enjoys panoramic views. 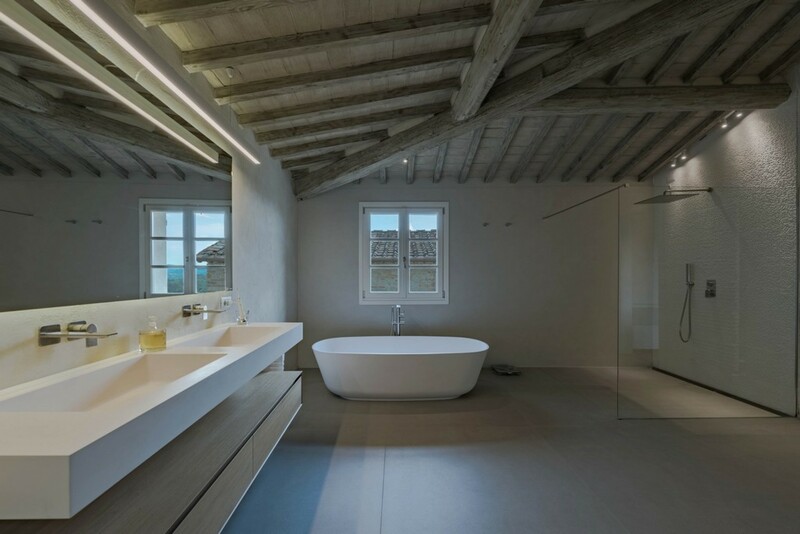 The soothing colours and clean lines add a laid-back, serene ambience. The living space includes plush sofas that sit opposite a fireplace. Alongside the sofas is a comfortable day-bed. 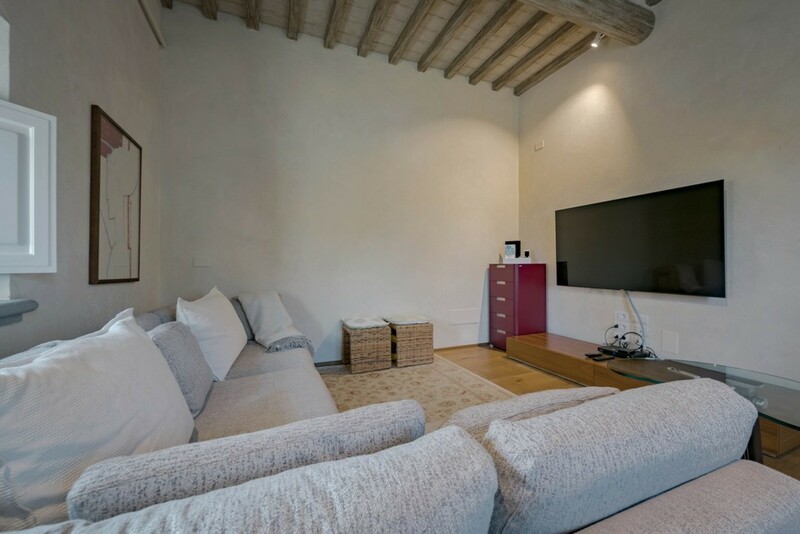 The ground floor also offers a TV room with a large flat screen TV and sufficient seating for your loved ones. 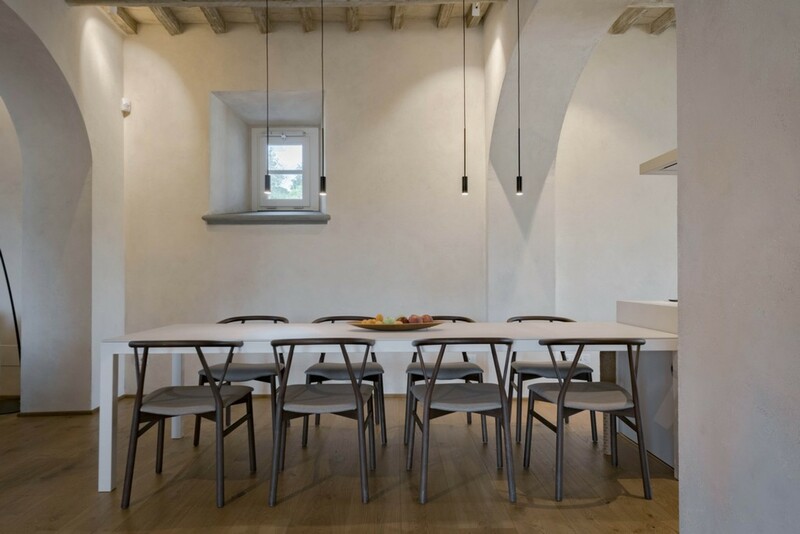 The dining area enjoys the open space with an elegant elongated table seating eight guests in total. 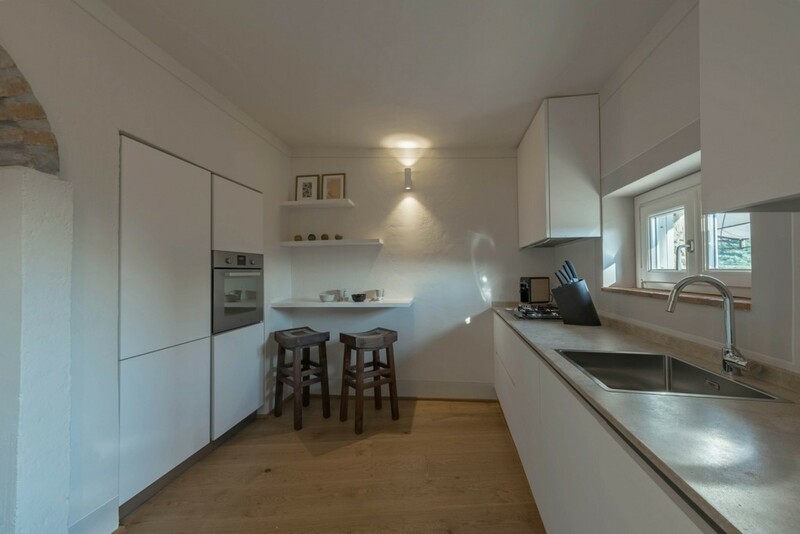 This area is close to the kitchen which is fully equipped and ready to use. 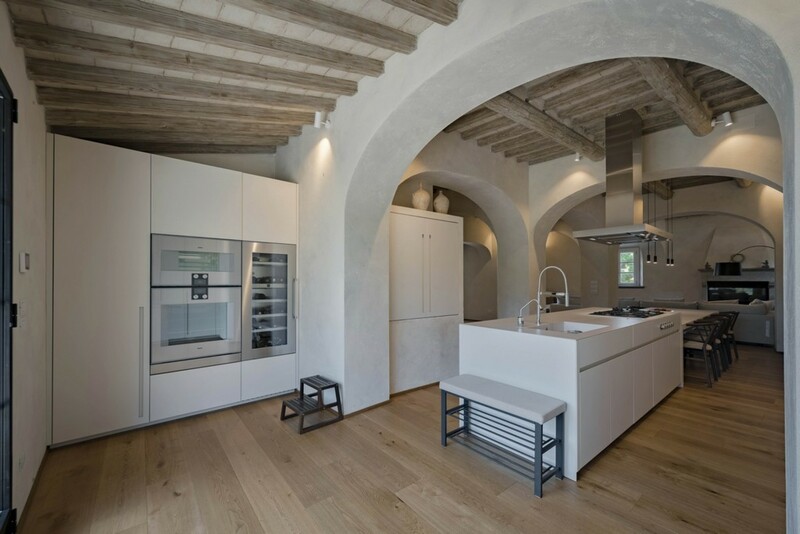 It includes a large oven, kitchen island counter, a coffee maker and a wine fridge. 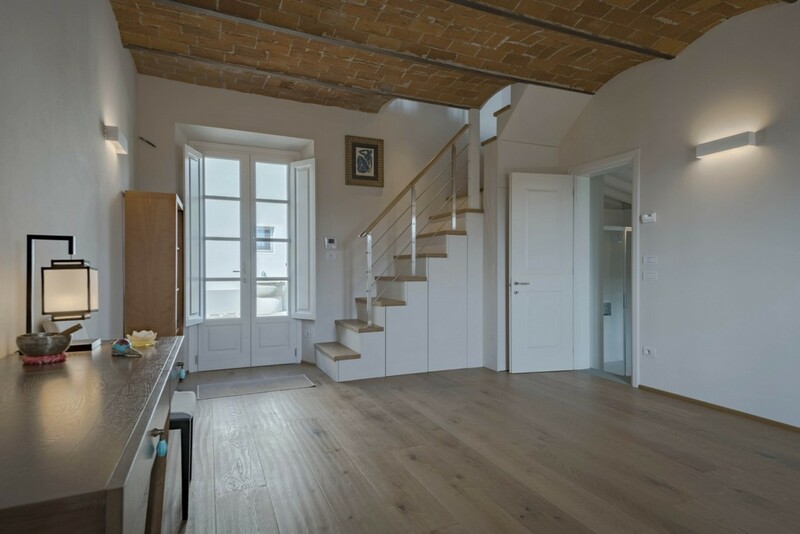 The different textures of fabric, the blond wood of the parquet floor and the bleached beamed ceilings add depth to the rooms throughout the interiors. There are an additional guest bathroom and a laundry room with a washer and dryer also located on the ground floor. 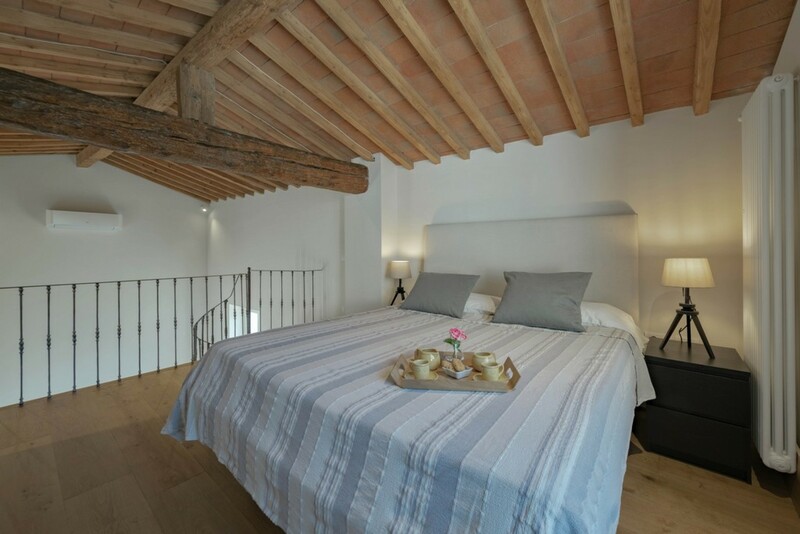 The villa has a total of five bedrooms throughout the property. 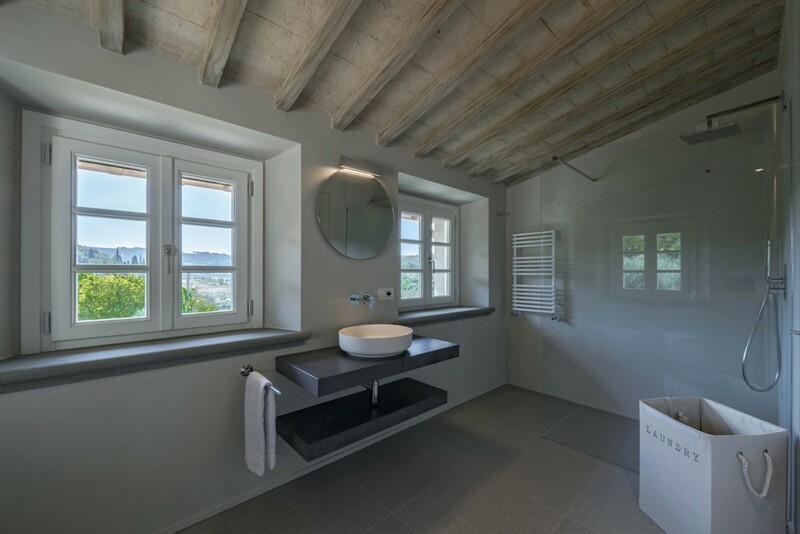 The main villa includes three bedrooms each with underground heating and cooling systems. The master suite offers a king-sized bed with a profusion of space. 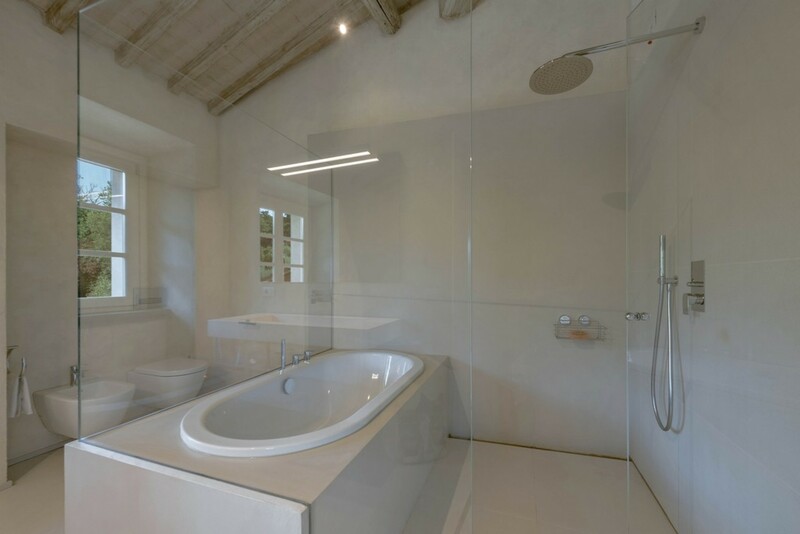 The private en-suite bathroom features a large standalone Bathtub and a rainfall shower. It includes dual sinks and a hairdryer. The second bedroom features twin beds and can be expanded to a further four beds if desired. 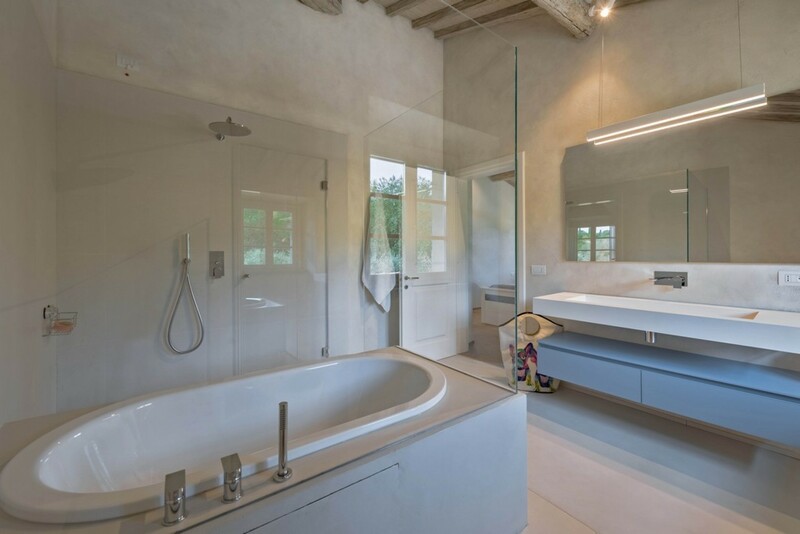 The en-suite bathroom offers a large standalone bathtub and a luxurious rainfall shower. The third bedroom includes a queen-sized bed and a private en-suite bathroom with a rainfall shower and a hairdryer. 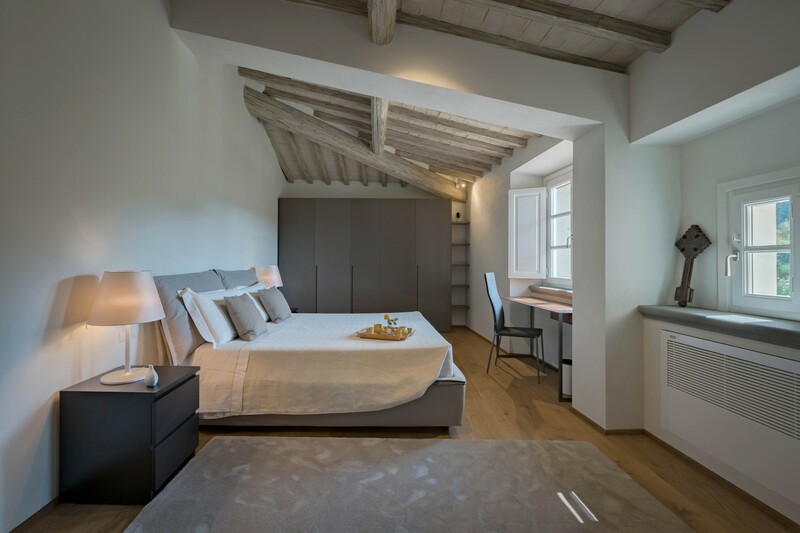 There are two guesthouses along with villa Ione, each featuring a bedroom. 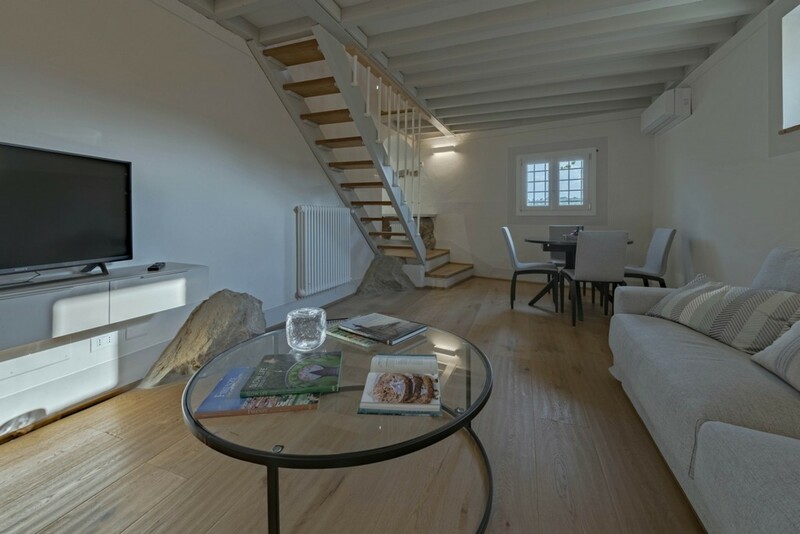 The first guest house offers a loft-style house with a living area and television, extendable dining table and a full kitchen with a dishwasher. 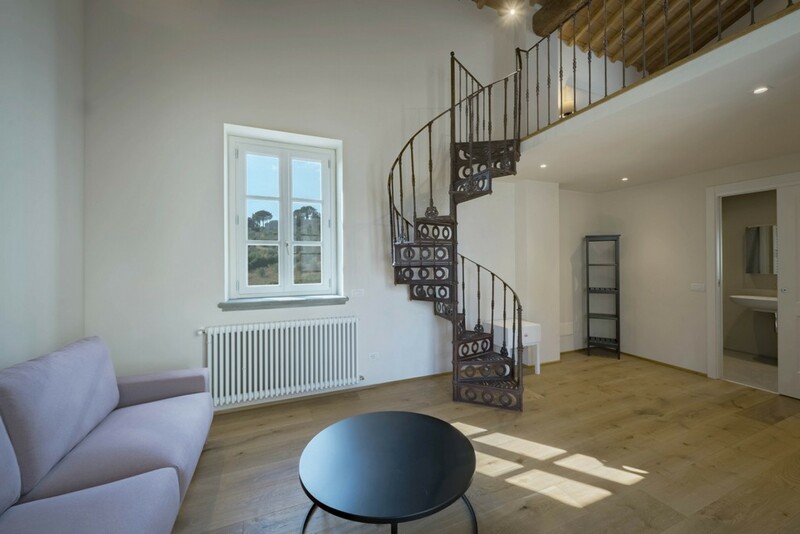 It holds a Mezzanine King-sized Bedroom with air-conditioning on the first Floor with the bathroom located on the ground floor. 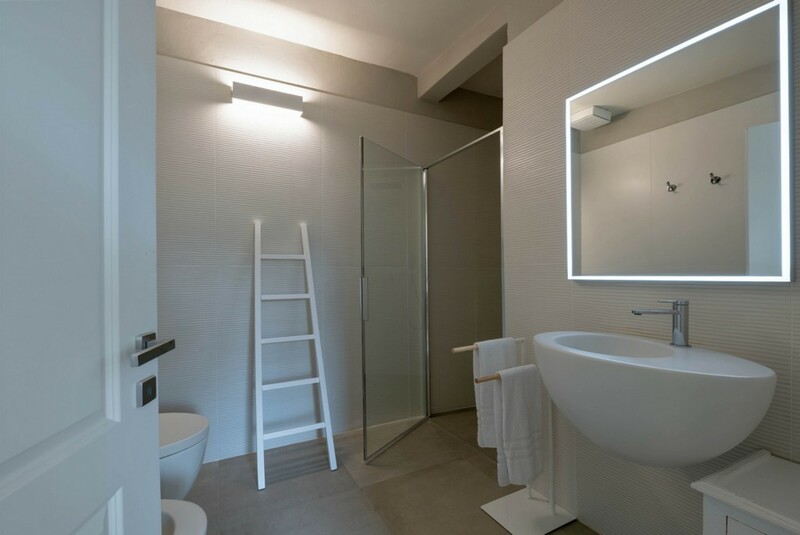 The bathroom features a luxurious rainfall shower and a hairdryer. This guesthouse also features High-quality sofa beds for two extra guests on the ground floor. 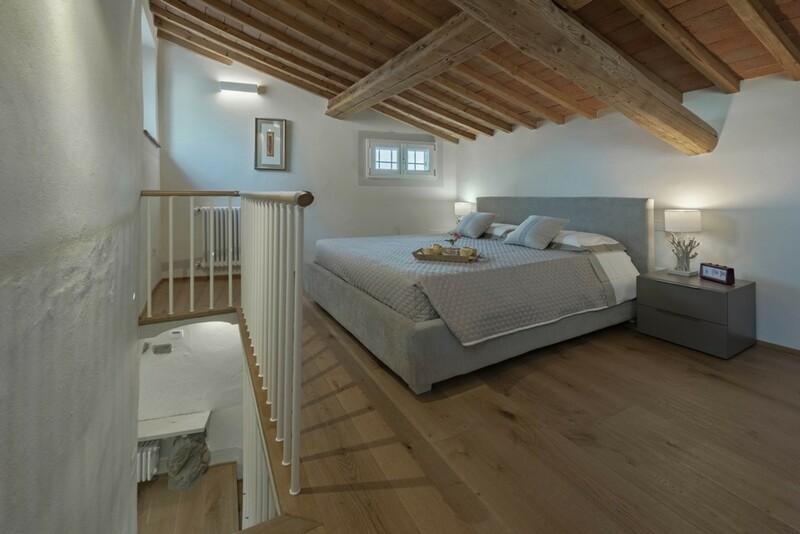 The second guesthouse features a Mezzanine Queen-sized bedroom on the first floor. 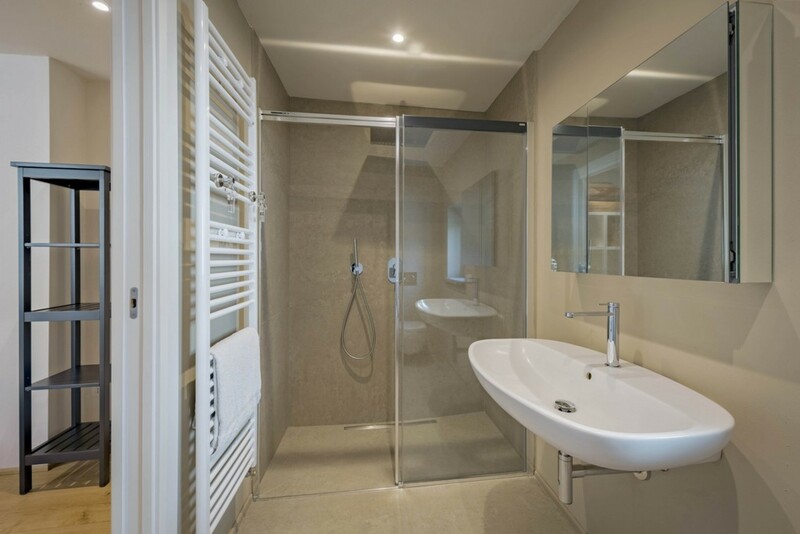 The Private En-suite Bathroom on the ground floor includes a rainfall shower and a hairdryer. The guesthouse is air-conditioned and includes High-quality sofa beds for two extra guests on the ground floor. 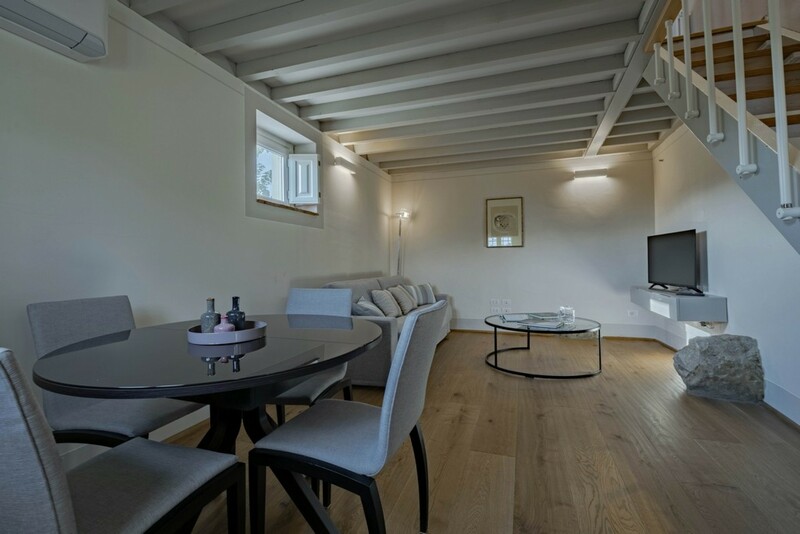 Villa Ione adopts a no-shoe policy inside the house - disposable slippers will be provided for all guests. 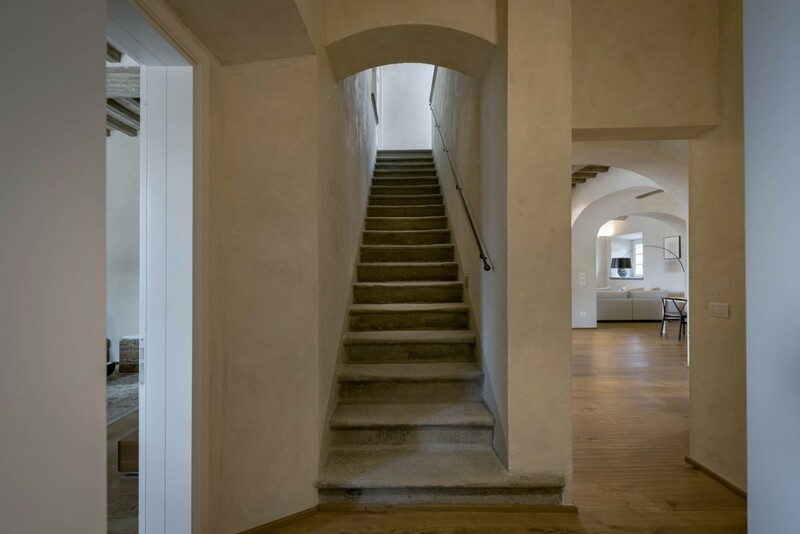 Villa Ione is perched along the gently sloping hillside in Florence, Italy. It is ideally located a short 3 miles from this iconic city and enjoys views across the mountains. Florence Airport is a short 20.2km in the distance which is a twenty-minute drive. The most famous area to explore is the Chianti, a blessed land that covers a rather large wine-producing region of Tuscany, reaching from Florence to Siena, and all the way out to Pisa. Chianti's must-see sights are the wine villages of Castellina, Radda, and Gaiole. 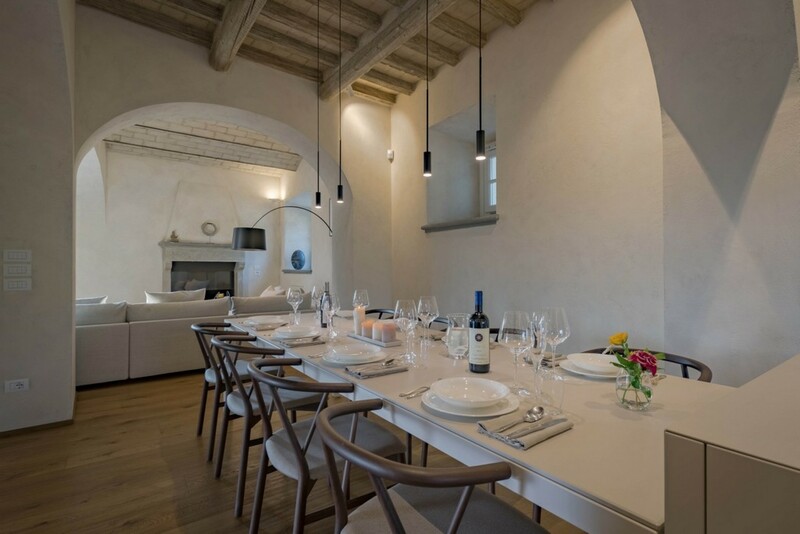 Along the road visit the Badia di Coltibuono and/or Castello di Brolio and do not forget to pick up some wine to enjoy at the villa! BEDROOM 1 MASTER: Luxurious King-sized Bedroom, Private En-suite Bathroom, Double Sink, Standalone Bathtub, Rainfall Shower, Hairdryer, Underfloor heating-and-cooling system. 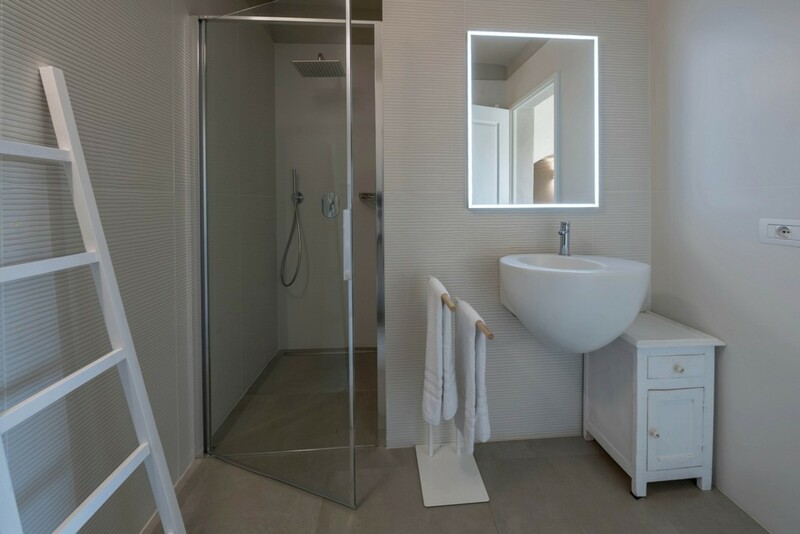 BEDROOM 2: Comfortable Twin bedroom with trundle beds (Expandable to 4 beds), Private en-suite bathroom, Large Standalone Bathtub, Rainfall Shower, Hairdryer, Underfloor heating-and-cooling system. BEDROOM 3: Luxurious Queen-Sized Bed, Private En-suite Bathroom, Standalone Shower, Hairdryer, Underfloor heating-and-cooling system. BEDROOM 4: Mezzanine King-sized Bedroom (first Floor), Private En-suite Bathroom, Standalone shower (on ground floor), hair dryer, Air-conditioning. BEDROOM 5: Mezzanine Queen-sized bedroom (first floor), Private En-suite Bathroom, Standalone shower (ground floor), hair dryer, Air-conditioning. *Additional High-quality sofa bed for two extra guests and private bathroom with standalone rainfall shower on the ground floor.